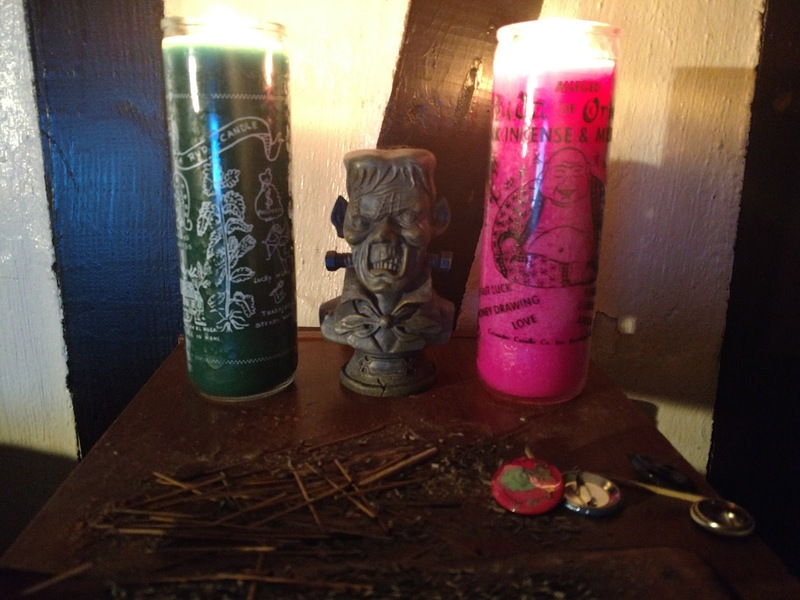 I have an altar in basically every room in my apartment. Mainly, I use them as a space to burn incense and light perfumed candles I buy from the local occult shop, Enchantments. The statue I have here for this one is just a cheap plastic bust from CVS of a Frankenstein's like monster. I figured since Halloween is right around the corner, I may as well start decorating. Both candles say they are for good luck. I hope they do, we could all use a little bit more luck these days.